WARNING: These will transmit a significant amount of vibration from the motor to the rest of the vehicle. These are for off-road use only. 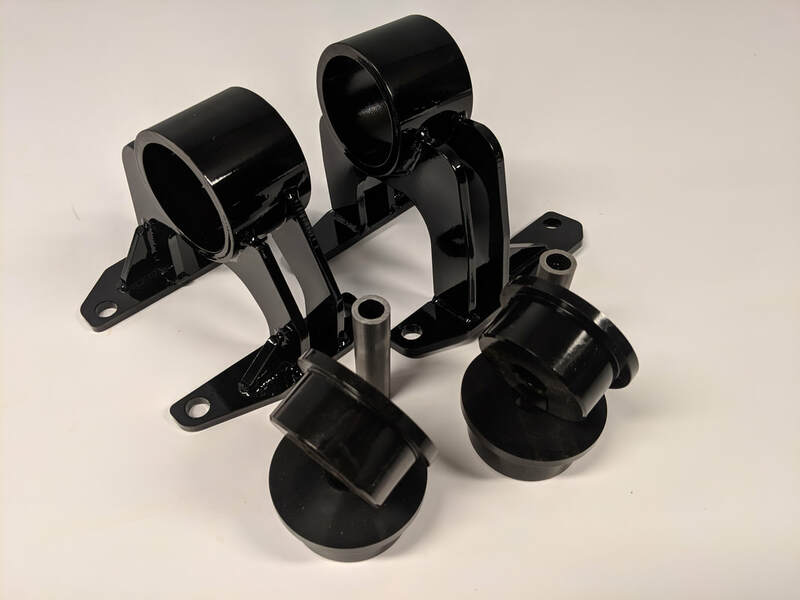 These motor mounts are a direct replacement for your factory motor mounts. They are made from 1/4" thick steel and include solid polyurethane bushings. They drastically reduce engine twisting during acceleration, but will also transmit a significant amount of engine vibration to the rest of the vehicle. If you are looking to improve acceleration feel and do not mind a lot of vibration, these are the mounts you are looking for. These must be installed with a poly transmission mount (either Prothane or Energy Suspension 3.1129G Large 7.5C-C) as well. It is critical that all three mounts (2 engine and 1 transmission mount) be the same durometer.